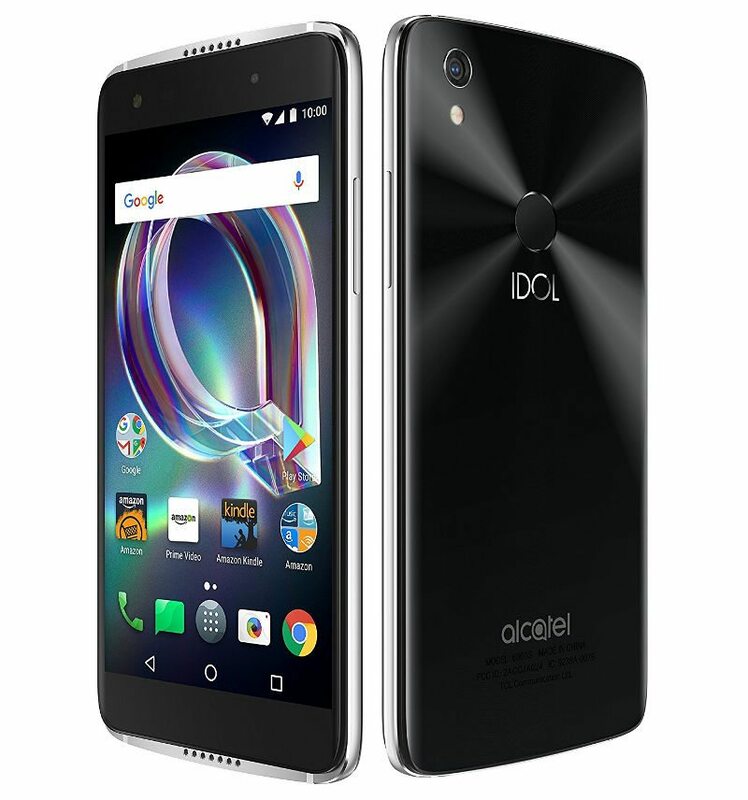 TCL has launched three new smartphones in the US with the names Alcatel Idol 5S, Alcatel A30 Plus and Alcatel A50 4G. The Alcatel Idol 5S comes with mid-range specifications while the A30 Plus and A50 4G smartphones comes with entry level specifications. The Alcatel Idol 5S is priced at $279.99, Alcatel A30 Plus is priced at $129.99 and the Alcatel A50 4G is priced at $149.99. The Idol 5s comes with Crystal Black colors, the Alcatel A30 Plus comes with Black with Metallic Silver color while the Alcatel A50 4G comes with Metal Silver color option. All these three phones will be available in the US via Amazon’s Prime Exclusive program. The Alcatel Idol 5S features a 5.5-inch Full HD Dragontrail 2.5D curved glass display with 1920 x 1080 pixels resolution and is powered by a 2GHz octa-core Snapdragon 625 14nm processor with Adreno 506 GPU. It has 3GB of RAM and has 32GB of inbuilt storage capacity with expandable storage up to 512GB with microSD card. It runs on the Android 7.1 (Nougat) OS out of the box. It features a 12-megapixel rear camera with PDAF, CAF, OmniVision OV12870 sensor, dual-tone LED Flash, f/2.0 aperture and also has an 8-megapixel front-facing camera with f/2.0 aperture, 78-degree wide-angle lens, OmniVision OV8865 sensor. The device is backed up by a 2620mAh battery and it supports 4G LTE, Wi-Fi 802.11 ac (2.4GHz & 5GHz), Bluetooth 4.2, GPS + GLONASS, USB Type C connectivity options. The device has a fingerprint sensor on the rear side and it measures 148.5×70.8×7.36mm and weights 148.8g. The Alcatel A30 Plus features a 5.5 inch IPS HD display with Asahi Dragontrail glass protection and 1280×720 pixels resolution. It is powered by a 1.5GHz Quad-Core Mediatek MT6738 processor with Mali-T860 MP2 GPU and comes with 2GB of RAM with 16GB internal storage that is further expandable up to 32GB via micro SD card slot. It runs on the Android 7.0 (Nougat) OS out of the box. It features a 13-megapixel rear camera with dual-tone LED flash and has a 5-megapixel front camera with LED flash as well. A 3000mAh battery powers the device and connectivity options includes 4G LTE, WiFI 802.11 a/b/g/n, Bluetooth 4.2, GPS with A-GPS and Micro USB. The device also comes with 3.5mm audio jack and supports FM Radio as well. It measures 151.8 x 76.9 x 8.38mm and weights 158g. 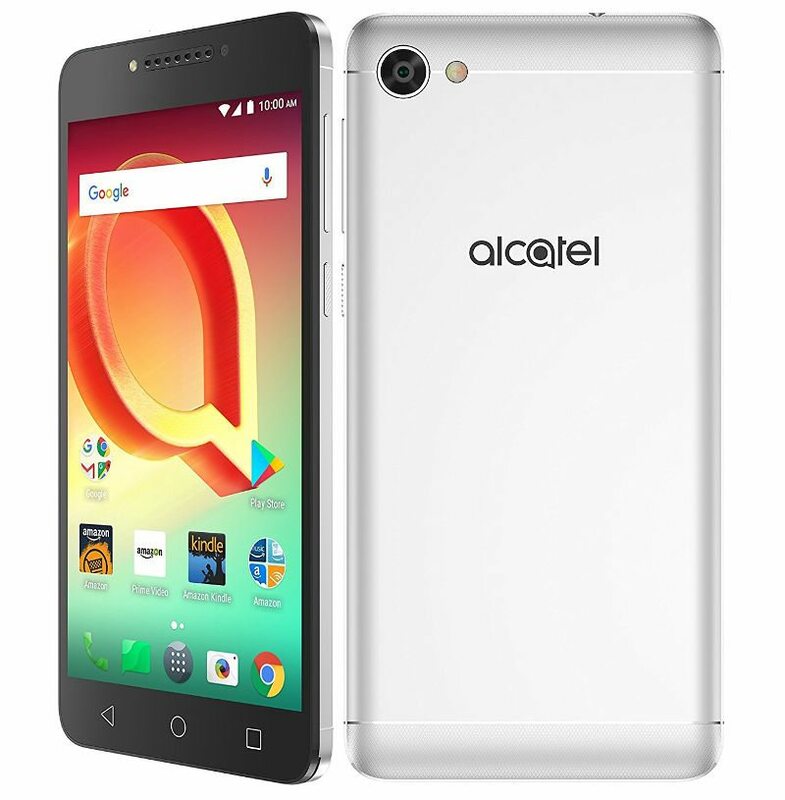 Finally, the Alcatel A50 4G features a 5.2 inch IPS HD display with Asahi Dragontrail glass protection and 1280×720 pixels resolution. It is powered by a 1.5GHz Quad-Core Mediatek MT6738 processor with Mali-T860 MP2 GPU and comes with 2GB of RAM with 16GB internal storage capacity that is expandable up to 128GB via micro SD card slot. It runs on the Android 7.0 (Nougat) OS out of the box. It features a 13-megapixel rear camera with dual-tone LED flash and has a 5-megapixel front camera with LED flash. It comes with a 2800mAh battery and comes with 4G LTE, WiFI 802.11 a/b/g/n, Bluetooth 4.2, GPS with A-GPS, 3.5mm audio jack and FM Radio support options. It measures 146 x 71.8 x 7.87mm and weights 145g.